Always committed to offering you the best of the camping in Gironde, Les Peupliers offers according to holiday periods, special offers like early booking, last minute, discovery, couple with bikes ... to allow you to discover Vendays-Montalivet and the Médoc and enjoy cheap holidays in Gironde in France. Special offers are not cumulative and reservations are retained within the limits of available stocks for each offer. Do not hesitate to contact us if you have any questions about our special offers. 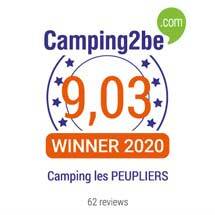 For works councils wishing to offer their members a special offer, thank you to contact directly the campsite in Gironde.